<P “text-align: justify;”>Fixated on the sole indicator of increasing HepB vaccine coverage, the Centers for Disease Control and Prevention (CDC) bragged in 2002 about having achieved a 90% national coverage rate in young children. However, a 2018 cross-sectional study published in the International Journal of Environmental Research and Public Health strongly suggests that the 1990s-era thimerosal-containing HepB vaccine had far less praiseworthy consequences, causing considerable harm to children and also exacting a high price from US taxpayers. 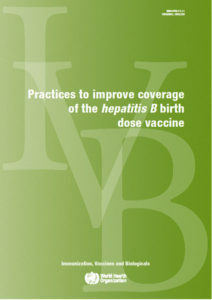 Recombivax HB is a vaccine that provides immunization against hepatitis B. It is injected intramuscularly. 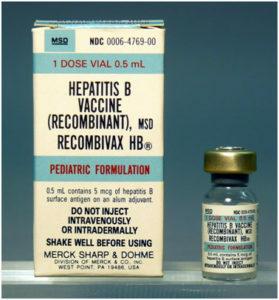 Recombivax HB is the first recombinant vaccine. This document was published by the Expanded Program on Immunization (EPI) of the Department of Immunization, Vaccines and Biologicals. January 2013.